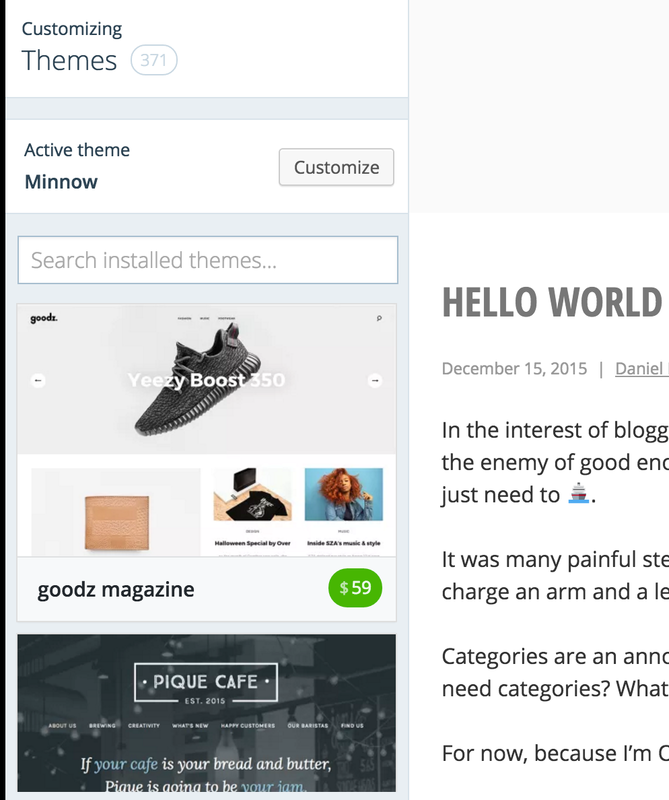 Choosing a WordPress theme from the Customizer is a bit painful. Second, as a user with a blog, I want to choose from themes that showcase my words. The first suggested theme appears to be a product portfolio, and the second suggested theme is for a restaurant website. I should be able to indicate I just want to see writing themes. Third, the “371” indicator next to the “Customizing Themes” heading has no meaning whatsovever. 371 what? Is that power user UI?